Busted! We Love Scrap Crazy 6! Karen Montgomery’s newest book Scrap Crazy 6″ and Template Set are the tools you need to bust through your scrap stash and piles of 10″ square charm packs and layer cakes! 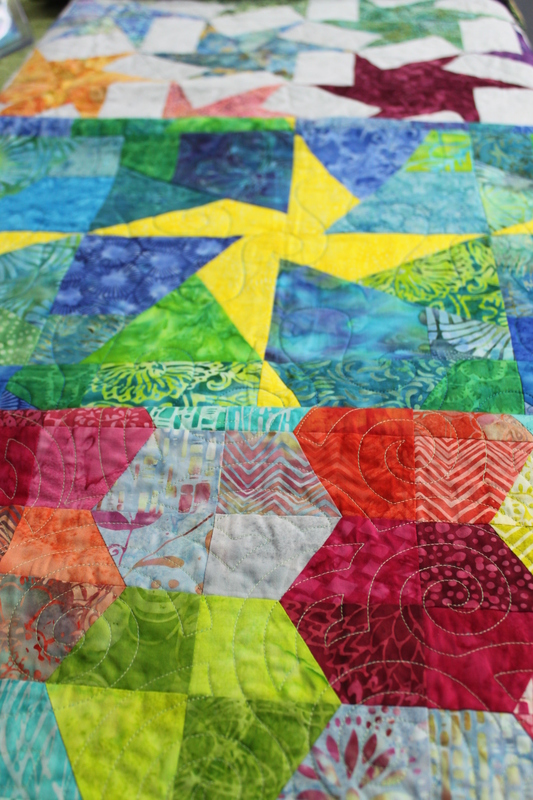 The 6″ blocks look like difficult and pesky Y-seams, but they’re not! 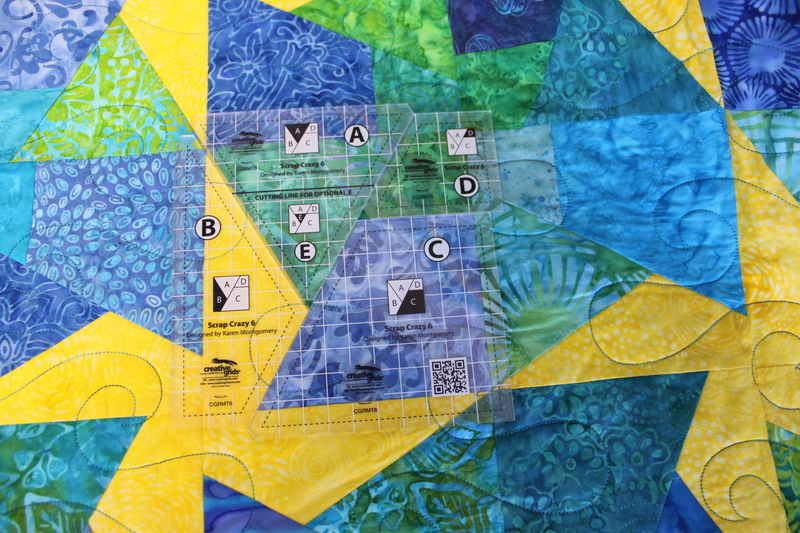 The piecing is super easy because the templates are designed to fit in so many different combinations. 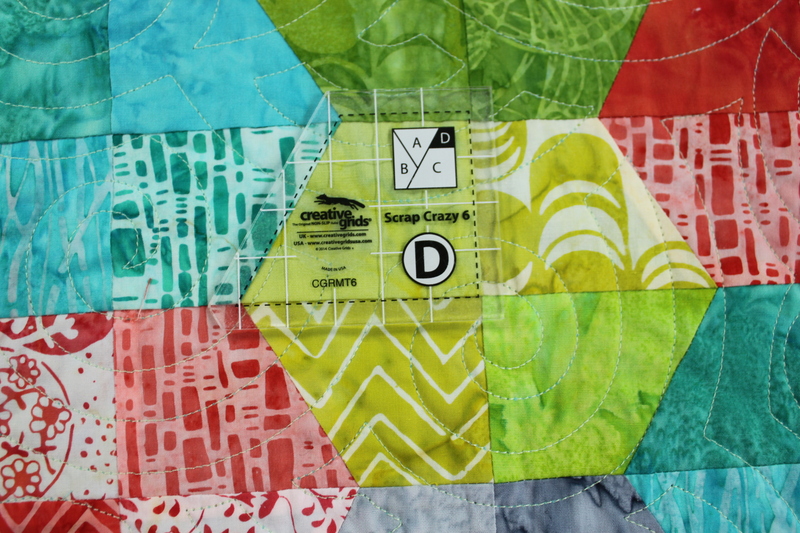 The four templates can be used all together like in the Sparklers quilt pattern from Cut Loose Press. 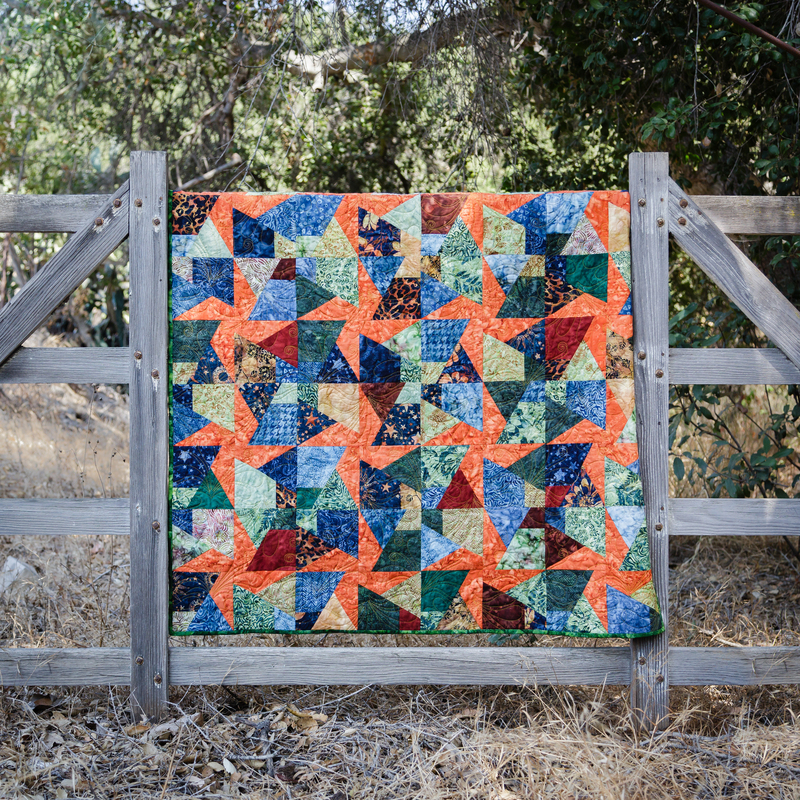 Maureen used the Tiramisu pack of Bali Crackers 10″ Squares in the quilt pictured, and it came out beautifully! 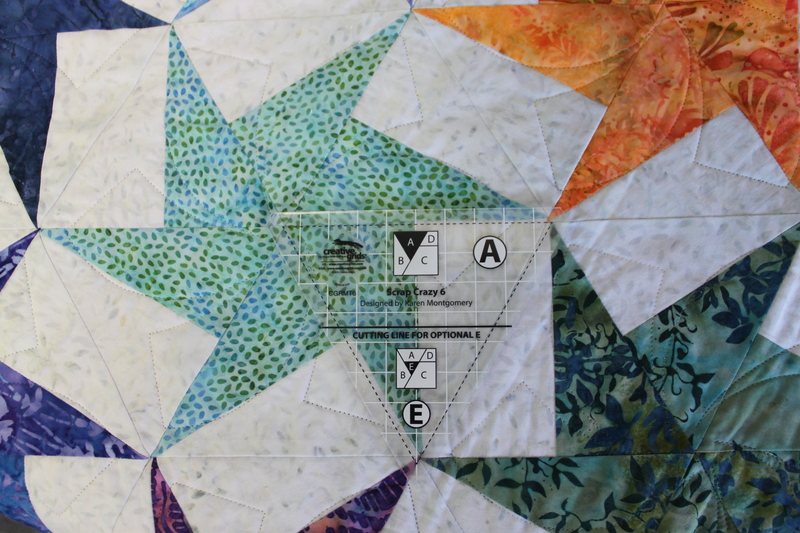 She really loves how easy Karen makes it to use templates for piecing. The Scrap Crazy 6″ templates allows for different size options and can be either super scrappy, or organized scrappy – it’s up to you! Take a look at the beautiful variety that can be achieved in using these templates and patterns. All of these beautiful options are available in the book Scrap Crazy 6″ ! Creative Grids has a great video, check it out! Hoppy Easter to my peeps! !